Confession:: I am addicted to Oreos. If I don't pay attention I can eat a whole package (then cry because of how long I have tow ork out because of it!) i like them dipped in milk. 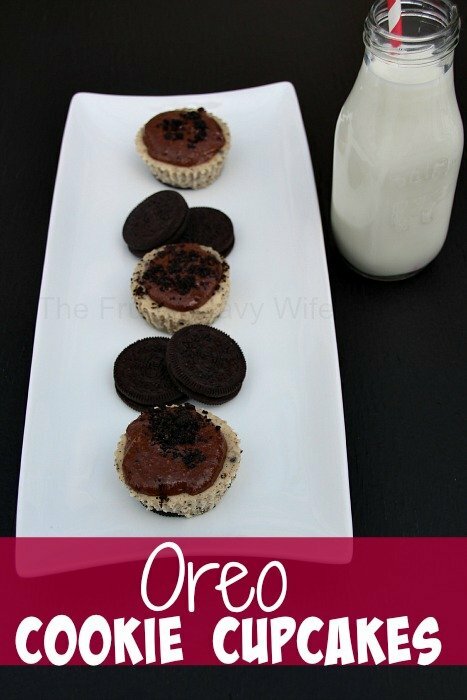 I like to open them and lick the frosting out, so much so when I was preggo with baby #3 I CRAVED Oreo Cream I would lick the cream out of a whole pack of Oreos leaving the cookie halves in there for the kids and hubby to eat. I put on so much weight during that pregnancy! If you put Oreos in any ice cream I'll eat it. In fact with baby #2 I craved Oreo Mcflurries with EXTRA Oreos. And yes both pregnancies were girls….. 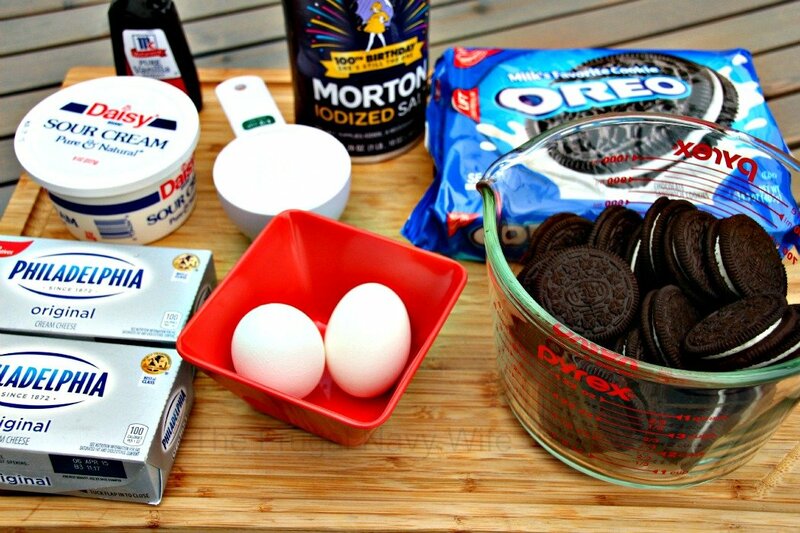 This leads to why I made recipes like Oreo Rice Krispie Treats, Oreo Truffles, Oreo Pudding Pop, and Dipped Oreos. Preheat the oven to 275˚F. 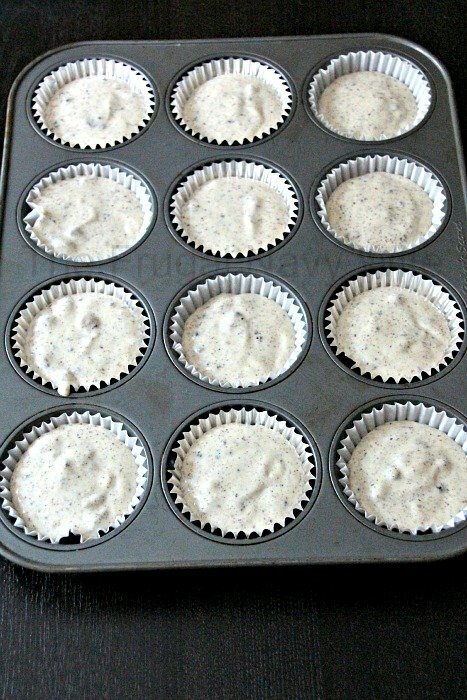 Line a standard muffin tin with paper liners. Place one whole cookie in each paper lining. In a large mixing bowl, beat the cream cheese on medium high speed until smooth. Gradually add in the sugar, mix until very well combine. Beat in the vanilla. Drizzle in the eggs, a bit at the time, beating to combine and scrapping down the sides of the bowl as need it. Beat in sour cream and salt. Stir in the chopped cookies by hand. 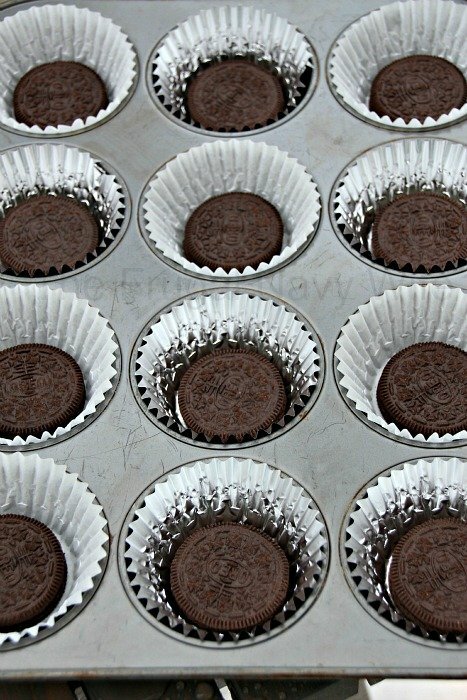 Divide the batter between the cookie filled cups, filling each almost to the top. I had some left over, and I made to more in my ramekins. Bake for about 22 minutes or until filling is set. Transfer to wire rack to cool completely. Refrigerate in tins for at least 4 hours. Frosting: Nutella and just enough milk to make it spreadable and of frosting like consistency. Plus Oreo Crumbles. Preheat the oven to 275?F. Line a standard muffin tin with paper liners. 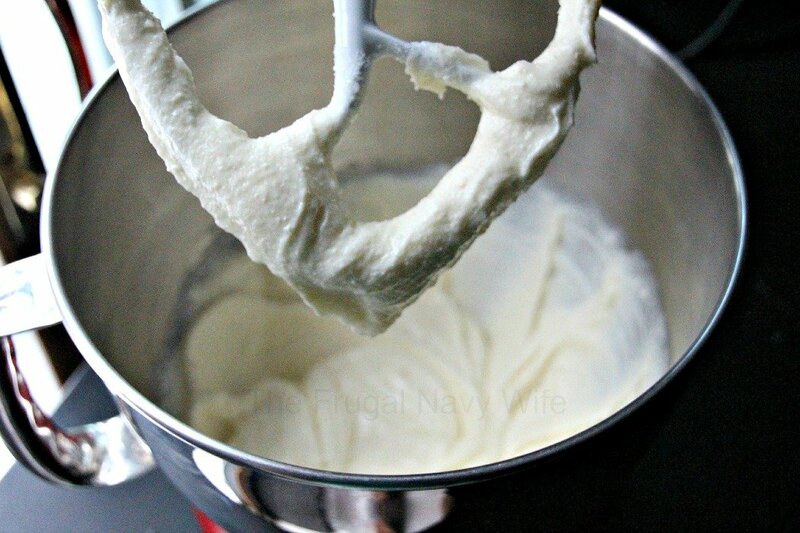 In a large mixing bowl, beat the cream cheese on medium high speed until smooth. Gradually add in the sugar, mix until very well combine. Beat in the vanilla. Drizzle in the eggs, a bit at the time, beating to combine and scrapping down the sides of the bowl as need it. Beat in sour cream and salt. 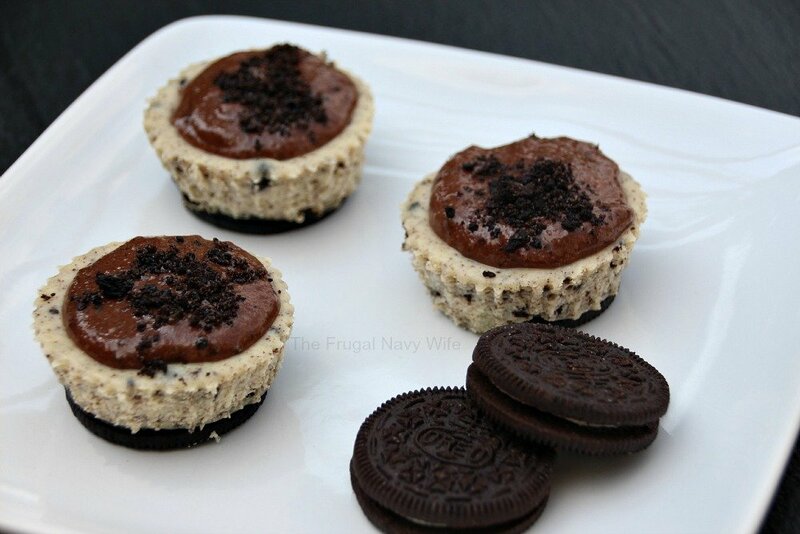 Divide the batter between the cookie filled cups, filling each almost to the top. I had some left over, and I made to more in my ramekins. bake for about 22 minutes or until filling is set.